A native of St. John’s, NL, conductor, composer and soprano Kathleen Allan is rapidly becoming internationally respected for compelling performances and engaging compositions. Her work has been commissioned and performed by ensembles throughout North America, Europe, and in Argentina, where her work was featured at the World Symposium on Choral Music. She is currently the assistant conductor of the Vancouver Bach Choir, and has held conducting positions with St. Michael’s Choir School, the Yale Glee Club, the New Haven All-City Honors Chorus, and the Vancouver Bach Children’s Chorus. 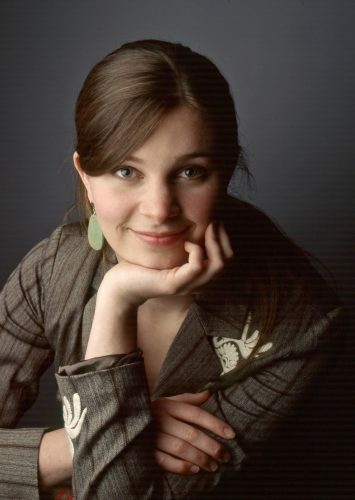 In 2013 she was the Conducting Fellow of the Canadian Chamber Choir. Also in high demand as a soprano soloist and professional choral singer, she has appeared as a soloist with National Broadcast Orchestra of Canada and Berkshire Choral Festival Choir, the Vancouver Symphony Orchestra and the Vancouver Bach Choir. In addition to freelancing regularly in Canada and the United States, she has sung as a member of the Atlanta-based Skylark Vocal Ensemble, the Vancouver Chamber Choir, the Yale Schola Cantorum, and the Vienna-based Arnold Schoenberg Chor. A passionate interpreter of new music, she has premiered over two dozen works for the voice, and her 2011 solo recital of original vocal music received national media attention. She holds a degree in composition from the University of British Columbia and a Master of Choral Conducting from Yale University where she studied with Marguerite Brooks, Jeffrey Douma, David Hill, Simon Carrington, and Masaaki Suzuki. Upcoming engagements include conducting Handel’s Messiah and Bach’s Christmas Oratorio in Japan, music directing the Citadel Theatre’s presentation of Alice Through the Looking Glass in Edmonton, and premieres of new commissions by ensembles throughout North America.